New Orleans Saints quarterback Drew Brees set an NFL record for passing yards on Monday. 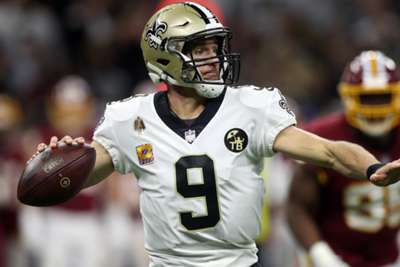 Brees, 39, surpassed Peyton Manning's mark of 71,940 passing yards during the Saints' win over the Washington Redskins. We take a look at some of the Opta numbers to assess Brees' record. 72,000 – Brees became the first quarterback to throw for 72,000 yards in a career. 59,755 – Brees is the all-time leader in passing yards for the Saints with 59,755. Archie Manning (21,734) is second. 7 – Since arriving in New Orleans in 2006, Brees has led the NFL in passing yards seven times, crossing 5,000 on five occasions. 419 – He has thrown for 419 touchdowns in a Saints uniform. The next best five have thrown for a combined 427. 1 – Brees needs just one passing TD to become the fourth player in NFL history to get to 500, joining Manning (539), Brett Favre (508) and Tom Brady (500). 68.5 – He has a completion percentage of 68.5 in games against the Atlanta Falcons, for 8,053 yards in 26 games. 51 – The Tampa Bay Buccaneers have been one of Brees' favourite opponents, conceding 51 touchdowns to the quarterback. 9,701 – Former Saints receiver Marques Colston has been Brees' favourite target with 9,701 receiving yards. Jimmy Graham (4,725) is second. Colston also has 72 receiving TDs from Brees. 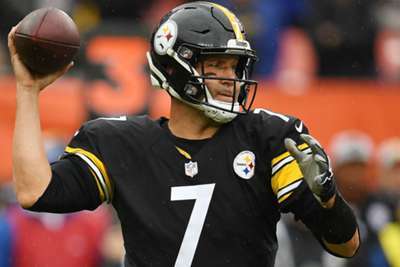 "It has always been a goal to play my entire career in Pittsburgh," Ben Roethlisberger said after signing a three-year contract.